It is not uncommon that a discussion about some controversy turns to the truth or falsity of some claim, and thereupon one of the parties to the discussion questions the very nature of truth itself. Often, this is a conversational move designed to say “I am feeling embarrassed and I need to save face,” in which case you probably need to consider whether continuing the conversation is a productive move. But sometimes truth as a concept does seem to be a real point of contention, especially among those of radically post-modern disposition. This post presents one theory of the nature of truth — a topic that is, despite appearances, rather interesting. After that theory is put on the table, we will see what it suggests about how we might get the conversation back on track. There are many ways of carving up the philosophical positions on the nature of truth, depending on historical contingencies, and also on what first-order domain we are talking about the truth of (science, history, ethics…). I find it useful to adopt a fivefold division into these family groupings: correspondence, coherentism, instrumentalism, relativism and minimalism. Although this is a rough-and-ready division, it seems to get the empirical clusters in belief-space more or less right. I will now do a brief aerial survey of the first four, and of the obvious objections to them. The correspondence thesis is probably the one most familiar to common sense. This is usually expressed as the idea that truth describes a relation of correspondence between beliefs (or some other propositional attitude) and reality. So we say that a belief that coal is black is ‘true,’ if (and only if) in the real world coal actually turns out to be black. Although this seems highly intuitive, it runs into problems when we consider how to evaluate whether “in the real world coal actually is black.” The problem is the following: it seems to imply that in order to discover whether something is true (by checking correspondence between beliefs and reality), you need to somehow “step outside” of your own epistemic limitations — your own complex of beliefs and perceptions — and check whether coal is black from some universal, objective perspective that is completely separate from any one individual person’s views. Only then will you be able to verify the correspondence. This looks suspicious — you don’t need to be a relativist to realize that there is no view from nowhere. Coherentism, meanwhile, avoids this trap by identifying true beliefs simply as being part of a coherent set of beliefs, avoiding any mention of correspondence with an external reality (historically, this was motivated by the fact that coherentists were often idealists — deniers of the external world). Coherence theory is thus supposed to clarify epistemology by making how we acquire true beliefs non-mysterious. We look at our other beliefs (and, presumably, sense data etc.) and check whether or not a candidate belief is consistent with them. The obvious objection here is that in asserting the truth of some belief, we are not merely making a claim that that belief fits with others we have. Coherence looks like a necessary condition for a good epistemology, but hardly a sufficient one — there are coherent belief systems that are demonstrably false or epistemically useless. My favorite example is that of a person who has rejected induction in favor of its opposite. He expects that since the sun has come up every day for the last 4 billion odd years, surely it’s due for a change. When his past lack of success in using this counter-inductive reasoning is pointed out to him (among other things, he has gambled away all his money) he replies that that just proves his point — his mode of reasoning has failed so often in the past that it is bound to work any day now! Another response to the perceived epistemic arrogance of the correspondence theory is instrumentalism (one example of which might be James’ pragmatism). Here, the idea is that in saying something is true, we are really more concerned with its usefulness in accomplishing some necessary task. An example might be an engineer using the concept of an electric field in predicting whether a capacitor will work for a given application. According to the instrumentalist perspective, the truth of whether the electric field is really there just boils down to whether the concept of an electric field is useful to the engineer in achieving their aims. This is a fairly metaphysically neutral account of truth. However, as with coherence theory, instrumentalism seems to be answering a different query than what was asked. We can always levy a Moore-style Open Question argument against it: “I know it’s useful to believe p, but is p true?” As long as that sentence is not obviously a logical contradiction, it stands as a mark against instrumentalism. Relativism undoubtedly represents the most radical of our four perspectives on truth. Although it is stated in many different and mutually contradictory ways, the key idea may be summarized roughly as follows: talking of truth outside of a given epistemological and conceptual framework is highly suspect and probably meaningless (this is the source of Derrida’s slogan “il n’y a pas de hors-texte” — there is nothing outside the text.) Since there is no stepping out of our contingent perspective, truth is essentially relative to the person doing the perceiving; there is no absolute truth. Moreover, our conceptual frameworks are strongly determined (not merely influenced) by our cultures, and specifically by power relations between and within cultures. Hence, insistence on the correctness of the truth of some proposition amounts to insistence on the correctness of one’s own conceptual frameworks, which in turn amounts to a sort of cultural imperialism. Although relativism in its better moments is motivated by a correct suspicion of pipe dreams about the “view from nowhere,” and by a laudable intention to avoid cultural imperialism, it almost always leads to conceptual absurdities and borderline self-refutations. There are the familiar objections, such as: "Is it true that there is no absolute truth? If so, is that truth an absolute truth or a relative one?" I don’t think this is quite as strong an objection to relativism as is commonly thought (Socrates was so impressed with it, he called it “exquisite”), but it is pretty good. "And at any rate, isn’t your relativist theory unlivable as epistemic practice, and even insincere? For example, this morning I said 'Petunias are perennial,' and you said 'That’s not true.' You didn’t qualify that statement at all, or relativize it. Only now, when we are talking about something controversial, you are suddenly being skeptical about truth." But how is this possible, given the idea (shared by correspondence and coherence theorists, relativists and instrumentalists) that truth is a non-trivial ‘property’ of judgments — and a very metaphysically fraught one, according to three of the schools mentioned above? 2. This is all there is to say, metaphysically, about the nature of truth. 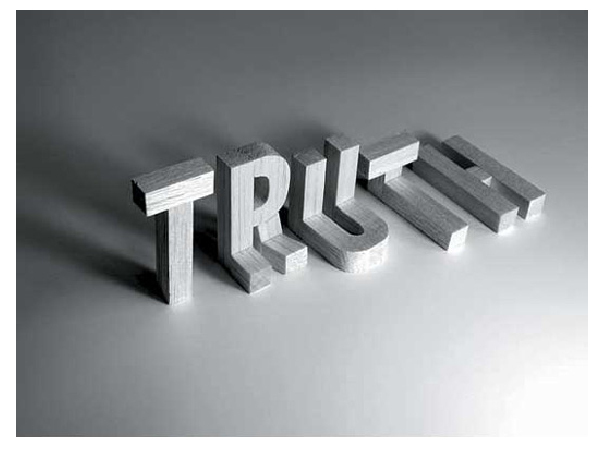 We should also note that the minimalist approach to truth does not necessarily imply that there is no relation between our beliefs and reality (a la correspondence theory), or that epistemology is not influenced by culture (a la relativism), or that true beliefs are not useful (a la instrumentalism), or mutually consistent (a la coherentism). It merely decouples the practice of saying that “so-and-so is true” from party positions about epistemology, politics and metaphysics. After accepting a minimalist theory of truth, we can go and have our arguments about the existence of the external world, and the way we come to find out about things, and the cultural valence of our conceptual frameworks, knowing that our use of the vocabulary of truth and falsity is not hostage to the outcome of those debates. The proper skeptical question to ask about minimalism is something like the following: if “p is true” just means “p,” why do we even need words like “true,” “truth,” “false,” “falsity,” “fact” etc. at all? The minimalist answer is that “true” is a “predicate of generalization,” i.e., essentially a linguistic convenience. Let’s illustrate with an example: suppose I want to tell you that the Governor General said something false in the throne speech. So the minimalist reply is that the only reason we talk of “truth” at all, is because we want to make certain claims with a minimum of linguistic fuss. This explains the existence of our truth vocabulary without reference to any dubious notions of unverifiable 'correspondence,' or facile equations of truth to utility. Meanwhile, instrumentalism about truth ends up looking distracted by non-issues; we want to know whether it’s raining, but the instrumentalist starts gibbering about how it’s useful to believe it’s raining because then maybe we’ll take an umbrella, which is not what was asked at all. Likewise, coherentism insists on looking inward, at the relation of beliefs about rain to other beliefs, instead of outward, at the weather. And relativism ends up looking the most dysfunctional of all. We want to know whether it’s raining, and instead of being engaged respectfully as fellow epistemic agents, we are treated as patients whose views and queries are “symptomatic” of some ill-defined social malaise. Maybe our umbrella-centric culture has determined that we ask the question “Is it raining?” that way, privileging dryness-normative conceptions of the weather, as opposed to perspectives in which wetness is the default condition and dryness the anomaly, bla cetera. Of course, this is a caricature, but it does point to why relativism is so hated by many people who are interested in the first-order issues (whether it is raining, how many fundamental forces there are, whether sexual jealousy is a human universal, etc.). It is a defection from our epistemic and conversational norms, which seems in practice to occur selectively whenever defection is convenient for the speaker’s politics. And to the extent that relativists have a point about some belief or other being merely a reflection of cultural prejudice, that belief will simply turn out to be false (not-p) or ill-stated. The 19th century pseudoscience of gender and race, for example, was just that — pseudoscience, heavily burdened with falsity. Indeed, we are far too generous about the legacy of bigoted falsehoods if we allow that they might have been in some sense true for those who believed in them. What I think minimalism shows, however, is that the answer to relativist defection is not a retreat to the lofty heights of rhetoric about the Shining, Glorious Truth of Objective Scientific Fact, but rather the best attempt you can muster to get the conversation back on track — back to whatever first-order issue you’re concerned about. * Mind you, we could probably cash out “love of truth” in some less ridiculous way. How is minimalism not simply correspondence? > So we say that a belief that coal is black is ‘true,’ if (and only if) in the real world coal actually turns out to be black. Good question. There is a similarity, and if you ask me which of the *other* theories seems sanest, I will say correspondence (thought that may not go for other supporters of minimalism). This is because something like correspondence theory informs my general views of epistemology - just NOT my theory of what 'truth' means. The key difference is that correspondence theory says that 'p' is true if 'p' corresponds to a fact in the external world, p. An alternate statement would be "check correspondence between your model and reality." But epistemically, you INHABIT your model, not unfiltered reality. You can check whether coal is black, but only from within your epistemic limitations, using your eyes, your scientific devices, processed by your brain. By contrast, minimalism does not talk about the external world at all. It just says that 'p is true' means 'p.' And that's all there is to it. It turns out that that is all that's necessary to underwrite 'truth' discourse. So the short answer is that correspondence *assumes far more than it needs to* about how the world works, in order to cash out 'truth' language. One more clarification via example: you may be familiar with idealism. This is the view (put too simply) that there IS no external world (or no reliable access to it) - our reality, according to idealists, is fundamentally mental. I am not an idealist. But I think that idealism is a meaningful idea (or at least not yet provably meaningless). But if you adopt a correspondence theory of truth, then the statement "Idealism is true" looks as if it were not just false but actually meaningless! Because it would mean something like "The idea that there is no external world *corresponds* to facts about the external world." I think idealism is wrong. But not wrong *by definition*! One prefers a definition of 'truth' that is metaphysically neutral. Isn't that just hiding the "in the real world" part by replacing it with the abbreviation p? "In the real world" obviously tends to get assumed wherever the context isn't clearly fiction. "It is raining" is true if and only if it is raining (i.e. in the real world, not my imagination or the 30-minute mark of the hot new movie). "Isn't that just hiding the "in the real world" part by replacing it with the abbreviation p? "In the real world" obviously tends to get assumed wherever the context isn't clearly fiction." Not really, I don't think. Consider, again, the idealist. This person is happy to talk of truth; e.g., "It's true that coal is black." But according to their metaphysics, coal is only black in the mental realm (or something like that). Thus, to talk of correspondence to external reality is to decide the question too early. There is lots wrong with non-realist views of metaphysics, but *not understanding English* is not one of their faults. p does not appreviate "in the real world." p abbreviates whatever claim you're talking about. INCLUDING, conceivably, the claim that there IS no real world. > p abbreviates whatever claim you're talking about. I'm sympathetic to minimalism- I find the day to day practice of science to really never use terms like "truth"; in every lab I've been in, every seminar I've been to, the talk is of models and how well they explain data. Truth just doesn't come up. "This sentence is not true." And if you are intent to ignore that sentence as too trivial, Godel's incompleteness proofs rely on a more general version of the same self referential problem. I think a theory of truth needs to be a little more robust than minimalism to deal with this sort of thing, because the alternative seems to blithely admit contradictions into our logic. Good points. I am still thinking about the problem posed by the liar paradox. As for Goedel, well, I do not trust myself to do that analysis yet, or indeed to evaluate the arguments of people who do. My current temptation is to treat the liar paradox as a mere pathology of language. But I have yet to flesh out this idea and there is still lots of source material to read. Avoid your current temptation. The liar sentence is self-referential and many have argued that self-referential sentences are meaningless (or, as you put it, "a mere pathology of language"). But this is clearly not true. Consider: 'This sentence has five words' or 'This sentence is written on the Rationally Speaking blog'. Both are obviously self-referential and neither is meaningless. In any case, we don't need self-referential sentences to generate liar paradoxes. Consider: 'The following sentence is true' -- 'The previous sentence is false'. If the former is true, the latter is false. But if the latter is false, the former is true. Hence, the latter is false. In either case, therefore, both sentences are both true and false. I should like to add that antinomies such as liars pose more significant problems for deflationist accounts of truth than for inflationist accounts such as correspondence theories. That's what "it's true" MEANS. But how to reliably discover which claims are actually true or false - big problems arise! Exactly. The reason I felt it was worth it to write this post is because important conversations about epistemology in general (or about first-order issues) often get derailed before they leave the station, because of arguments about what 'truth' means. We literally cannot get anywhere if I cannot claim 'X is true' in a non metaphysically loaded way. In my opinion most philosophical arguments can and should be seen as an argument over how to deploy language. Minimalism seems to be doing that. Also I should point out that Godel is not based on "This sentence is not true." but on "This sentence is unprovable." Notice that the first sentence can not be assigned either a true or false state. The second sentence can be true but only if you cannot prove it. I think disagreement about truth is often a problem in discussions e.g. about religion. Perhaps such discussions would go better if, in accordance with the minimalist approach, both sides made their premise explicit. They just might realise they are not talking about the same thing. I agree that all of the above definitions of truth are problematic, and substitute "does adding it to my mental world lead to better predictions". We do, however, need a way of deciding whether or not to add something to our world-view. For the physical world, all epistemological disagreements aside, when asked whether it's true that it is raining, we'd all look out of the window. For philosophical statements this is rather more difficult: is epiphenomenalism true? What does the minimalist say? Personally I think such statements are neither true nor false. You can add one to your world view or not, and while I think there are pros and cons (i.e. I don't think it doesn't matter), it's not a question of the statement's truth value. "The correspondence thesis is probably the one most familiar to common sense. This is usually expressed as the idea that truth describes a relation of correspondence between beliefs (or some other propositional attitude) and reality. So we say that a belief that coal is black is ‘true,’ if (and only if) in the real world coal actually turns out to be black." I don't agree with the way you rephrase the correspondence theory here. Surely, if truth describes a relation of correspondence between beliefs and reality, then it follows that when we say that "'coal is black' is true", the content of the belief expressed is that 'coal is black' corresponds to reality. But this consequence has no epistemic consequences: it implies nothing whatsoever about our ability to correctly judge the truth of the belief, taking a view from nowhere. So what justifies your paraphrase? Specifically, why use a paraphrase containing "we say" in the antecedent, while neglecting it in the consequent? That [we say that a belief that coal is black is true iff we say that in the real world coal is black] is correct; so too is [the belief that coal is black is true iff in the real world coal is black] is also correct. Both may be said to follow from the correspondence theory (assuming that 'we' designates competent users of english), but your restatement just looks like a basic logical error. Am I wrong? Sorry, I did not intend for "we say" to do any interesting work in that sentence. All I meant by "we say" was "this is how truth language is used." You can delete "we say" and it will still mean what I wanted it to. "But this consequence has no epistemic consequences: it implies nothing whatsoever about our ability to correctly judge the truth of the belief, taking a view from nowhere." I think my response to NoahLuck above answers this. If 'truth' means 'correspondence between model and reality,' then not only is there an epistemic problem (we can't step outside our model and compare it to unfiltered reality), but there's also a conceptual problem, which is that it needlessly presupposes a realist metaphysics. "You can delete "we say" and it will still mean what I wanted it to." I did. But [the belief that coal is black is true iff in the real world coal is black] is correct and seems benign. It doesn't obviously connect to a requirement that we need to step outside ourselves in order to have knowledge. Or at least, it's not obvious to me. "I think my response to NoahLuck above answers this. If 'truth' means 'correspondence between model and reality,' then not only is there an epistemic problem (we can't step outside our model and compare it to unfiltered reality).."
I agree that you inhabit your model, and all that. But you haven't connected this to the correspondence theory of truth so far as I can see. It doesn't seem to follow. ".. but there's also a conceptual problem, which is that it needlessly presupposes a realist metaphysics." As for idealism, or better yet solipsism, the problem you raise is one of negative existentials: e.g. what makes "there are no objects external to me" true if no objects external to me exist to make it true? I think the objection can be met by treating negative existentials on Russellian lines, in which case solipsism could be given a meaningful interpretation. But others may have good reasons to disagree, and I accept that your conceptual problem would be reason for them to reject the correspondence theory. - There is a God who punishes and rewards. - Discrimination against women harms them. Since these statements are of moral concern, their truth or falsehood has serious repercussions in the lives of individuals. As much as we would like epistemology to merely be a sanitised intellectual parlour game, the reality is that flesh and blood people can be harmed by untruths. It is the moral element of the matter that (rightfully) lends more than a little heat to arguments about 'truth'. I agree that relativism has the potential for some serious fallout. However, in trying to convince relativists (and fence-sitters) that relativism is wrong, one does not want to increase the rhetorical temperature too much, lest everyone get defensive and rush to man their culture-war barricades. Once one has made one's point on a 'timid' example like rain, it can be generalized to more controversial ideas. What a glorious day for metaphysics! Serge Haroche, arguably the world's greatest practitioner of “experimental metaphysics” (the term used by Paul Davies,) was awarded the Nobel Prize, beating Higgs & co. The Haroche group was the first to produce states of EM radiation with a definite number of protons. This is rather incredible, because such states have been used in theoretical discussions for ever. The problem is that sources of coherent EM radiation (like lasers) do not produce eigenstates of the photon number, but eigenstates of the photon destruction operator. The Haroche group was able to produce states with definite numbers of photons by successive non destructive measurements of trapped states of EM radiation. This shows gradual state projection, fully vindicating the Copenhagen interpretation of QM. Of course, when measuring states of several photons, the number they get at the end is unpredictable, because of the random nature of quantum measurement. The probability of obtaining a particular number is, however, determined by the way they prepare the initial trapped state. Why is this relevant to the present discussion? The above quote shows how truth is alive and well in fundamental physics. Note that no mention is made of “models and how well they explain data:” the language implies a realist view. Truth, of course, is fundamental to science. First of all, it is implicitly assumed that they really did build the incredibly-high-Q cavity, able to store the photons for such long times and also the atomic interferometer. But the language used also implies that the photons and the atoms are real, and not just fictions, invented to fit the data. Being able to detect, nondestructively, a single photon makes photons a lot more real. Note that this had never been done before: measuring a photon with a photocell, for instance, involves destroying it. I have a question about your example of the Governor General. You state that “The Governor General said something false in the throne speech.” means something like “The Governor General said ‘a’ and ‘b’ and ‘c’ and .... and ‘z’ in the throne speech, and NOT (a and b and c and.... and z).” How do you define the operator NOT? negates the whole giant 'and' chain inside the brackets. Hence, it effectively says "at least one of a,b,c,...,z is false" or "it is not true that all of these are true." It doesn't say they're all false, which is perhaps how you're reading it. NOT(a) or NOT(b) or NOT(c) or... or NOT(z). Perhaps this would have been more intuitive. As has been touched on in previous comments above, I think your treatment of the correspondence theory is a bit unsatisfactory. This supposed objection about correspondence and our epistemic access to truth for some reason seems to have the power of persuading many people nowadays, but as far as I can see it is all just based on a confusion of two fundamentally distinct questions. Similarly, my means of finding out if something is true need not involve any direct access to the "deep structure" of truth - my means of finding out if a belief is true involves (among other things) judging the content of that belief against the evidence available to me, making sure the belief is consistent with my other beliefs, (sometimes) relying on others' testimony that the content of the belief is true, etc. etc. So there is no argument against the correspondence theory here simply because the correspondence theory is a semantic or metaphysical theory, not an epistemological theory. A correspondence theorist can be as "epistemically arrogant" (as you put it) or as epistemically humble as anyone else (correspondence theory is, for example, perfectly consistent both with complete skepticism and with complete infallibilism). How about a mixture of biological instrumentalism and coherentism? The fundamental biological problems are immediate survival and long-term reproductive success. The mere fact that you survive, independently, from one day to the next, implies that some of the things you think you know must be true. And other things, not necessarily essential to daily survival, are probably true if they are part of a coherent set of beliefs that includes the set of true beliefs required to survive. Long-term reproductive success is harder to use as a measure of truth, because it hasn't happened yet - not for most of us, unless perhaps you're very old with lots of great-grandchildren. Our own existence says something about the true beliefs of our distant ancestors, but it doesn't say so much about the truth of what we believe, _unless_, there is some mechanism by which truth is directly transferred from one generation to the next. There are indeed some "genetic truths" that satisfy this criterion. For example: "something that looks like a snake might be quite dangerous". There may also exist some mechanism, that we are not fully aware of, by which truths are transferred directly and non-genetically from one generation to the next. Such a mechanism would consist of unconditionally and automatically believing a certain subset of things that your parents say, and the determination of said subset would presumably be governed by some genetically hard-coded criterion. My guess is that there is such a mechanism, and it plays a bigger role than anyone realises in the successful evolution of human culture and human understanding of the nature of reality. More seriously, I don't think Blackburn and the minimalist theory solves anything. I think it's not a lot more than a coherence theory run through a Wittgensteinian games-we-play-with-language filter. On the issue of truth, call me in part, or to some degree, the epistemological equivalent of Einstein's naive realism vis-a-vis quantum mechanics. More seriously ... I think the minimalist position, to some degree, sounds like the coherence theory getting run through some Wittgensteinian "games-we-play-with-language" metaphor. Call me the epistemological equivalent of of naive Einsteinian realist in quantum mechanics, but even if the coherence theory doesn't work because of the "view from nowhere" problems, I think it's still the best starting point.